You already know that selecting the right insurance for your needs and situation is super important. And sometimes finding the right insurance to cover all of your Grand Lake area needs can be tricky. Especially when you need insurance for your boats and personal watercraft or your lake home and dock or maybe even your business. Now you have the competitive rates and legendary reliability of AAA Insurance right here in Grove with Rusty Rowton. Call Rusty at AAA now at (918) 786-4500. Rusty and Nikki Rowton grew up in Grove and have now returned to their Grand Lake roots after 15 very successful years in the insurance business in Tulsa and opened AAA Insurance at 1006 S. Main Street in Grove. At AAA Insurance in Grove you can find the right insurance customized just for you with competitive rates, quality service, convenience and the financial stability of the AAA brand. Rusty and Nikki can customize just the right insurance for you to cover your home, auto, life, boats, RV’s, business and whatever else insurance needs you have. And remember, with insurance through AAA, you’re more than a policyholder—you’re a member, and members get more. We offer a complimentary AAA Policy Review to help you understand your coverage options and available discounts. 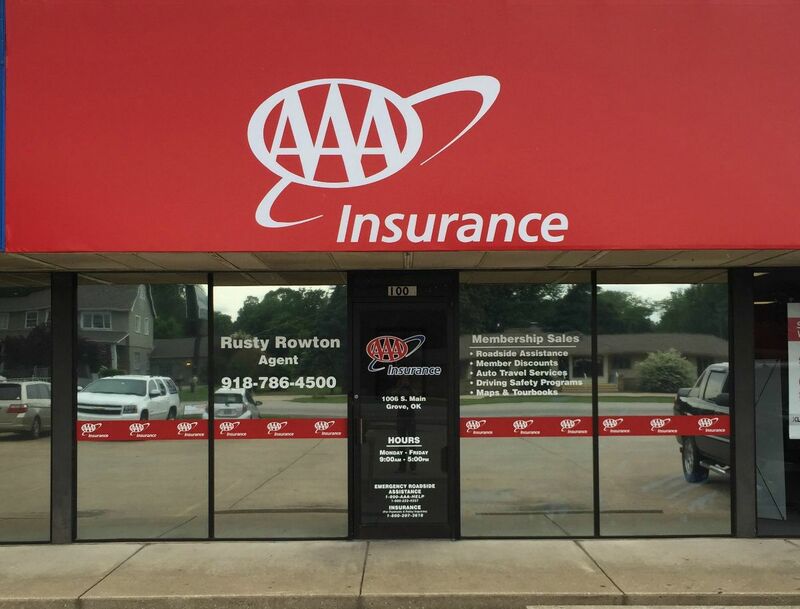 You will find AAA Insurance – Rusty Rowton at 1006 S. Main Street in Grove between the hours of 8:30 am and 5 pm Monday through Friday. Of course you can also call (918) 786-4500 or find them on the web at https://www.ok.aaa.com/RUSTYROWTON. PreviousBoating Tips – Do You Have The Correct Scope?